A father is asked by his friend, "Has your son decided what he wants to be when he grows up?" 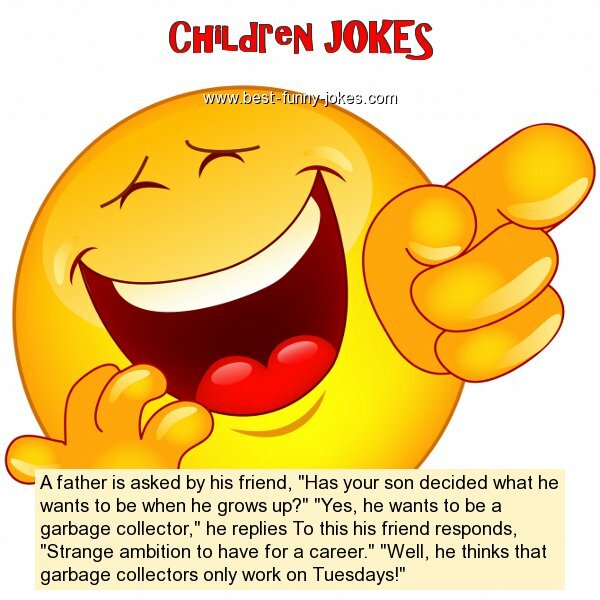 "Yes, he wants to be a garbage collector," he replies To this his friend responds, "Strange ambition to have for a career." "Well, he thinks that garbage collectors only work on Tuesdays!"